This immaculately presented three-bedroom home in the heart of Hugh Town has been fully refurbished throughout. The downstairs is dominated by a large open-plan lounge and dining room, with windows to the front and back providing an abundance of natural light. 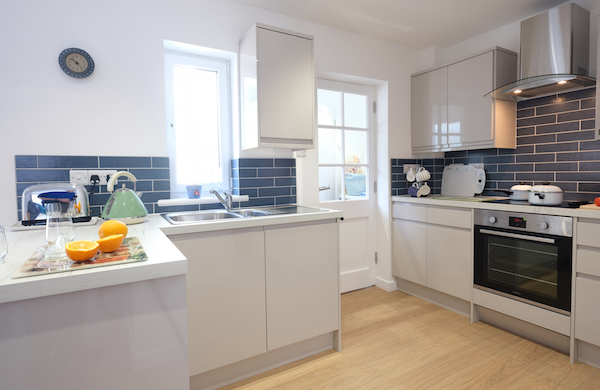 The kitchen is finished to the highest specification and has everything you need including a large fridge/freezer and dishwasher. There is also a separate room off the kitchen providing a washing machine and access to additional toilet and shower facilities. There are three upstairs bedrooms, one with a king size bed, one set to a twin arrangement and one single. A luxury shower room completes the internal layout and there is a communal courtyard to the rear where you can sit and relax in the sun. Silver Street really does provide the best of all worlds. In terms of walking distance it is no more than a minute to Porthcressa Beach, under a minute to the main street in Hugh Town and a short walk to the quay, making it the perfect base in the perfect place. Bookings can be made up to 11 months in advance. If the dates you require are not showing, then the accommodation is either booked or currently unavailable. For bookings of more than 2 week, please call 01720 422082 or email enquiries@scillyselfcatering.com. For winter availability and prices, please call 01720 422082 or email enquiries@scillyselfcatering.com.